Even though it’s towards the end of July and we’ve been dealing with heat and humidity for a while now, I knew I had to wait to write this until I had tried all these products for a decent amount of time. I loved all of these almost instantly, but wanted to see if they really help up under the worst weather we’ve had. And let me tell you, the weather has reminded me of the Lonestar State on more days than I thought possible. All of these products are all heat and humidity tested and given my seal of approval. This post is a little wordy, but I wanted to go in depth on the products and how I use them in my daily beauty routine! I've been a fan of MAC forever. My first products I bought from them were the pro-longwear foundation and concealer and I still use the concealer to this day. 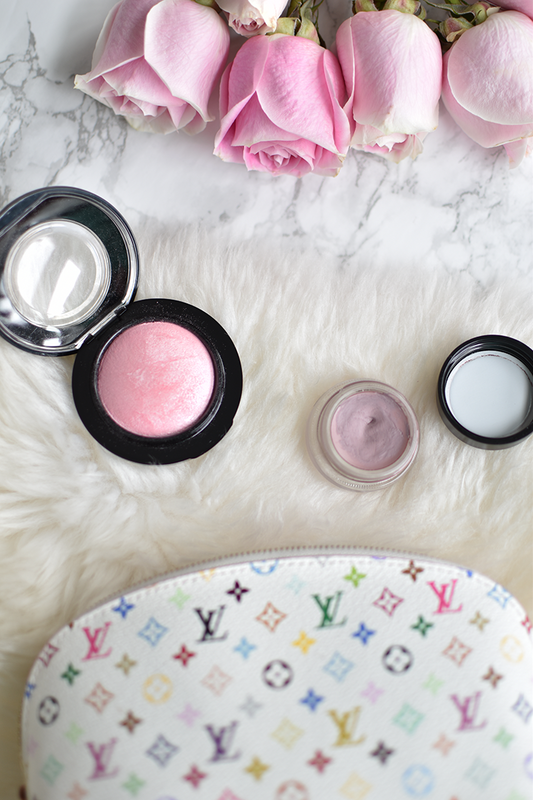 When I went to repurchase my concealer earlier this summer, I was looking around and wondered why I had never tried any of their blushes or eye shadows, so I decided to take the plunge! I like to keep my makeup pretty neutral and natural, so some of their colors can be a little intense for me. I decided to stick with things that would go well with the things that are already in my makeup bag, so I went with the paint pot eyeshadow in Stormy Pink (more of a soft purple or mauve in my opinion), and their mineralize blush in Just A Wisp. The eyeshadow has become my go-to "base" shadow and on days when I wear really light makeup I'll wear it by itself and if I'm doing a full face of makeup I'll layer it with colors from the Naked 2 Basics palette. It blends wonderfully with the palette's colors and helps to prevent creasing/color transfer on my lids. Having used a coral Nars blush for probably about 5 years now, the blush was something I was a little more hesitant to work into my routine. When looking at it in the compact and even swatched on my hand, it seems a little overwhelming. I loved it as soon as I picked it up in the store because of how pink it was, but I was also concerned it wouldn't work with my skin tone. 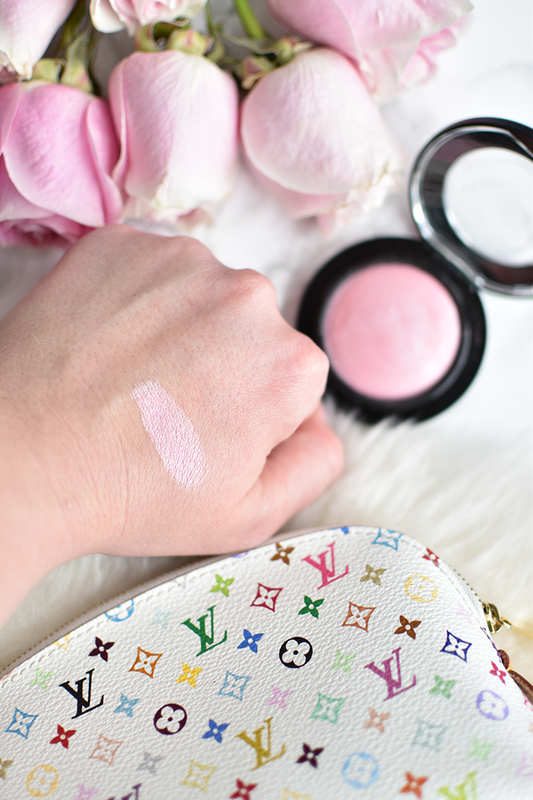 You can definitely overdo it if you're wearing this by itself (it's a mineral blush so a little goes a long way) so my favorite way to wear it is to pair it with a flat (no shimmer) pink blush. In all fairness, one of these is an old favorite but it's just so good I had to include it (thanks, Suzy, for telling me about this years ago!). One of my friends asked me the other day if I knew of any good setting sprays that wouldn't break the bank and I had to tell her about this one from elf. At $3 it just can't be beat and the bottle seriously lasts forever. When I'm completely done with my makeup and have let my mascara dry (very important step!) I spray 3 times over my entire face and let it completely dry before doing anything else so I don't have lines from moving my eyes, mouth, etc. 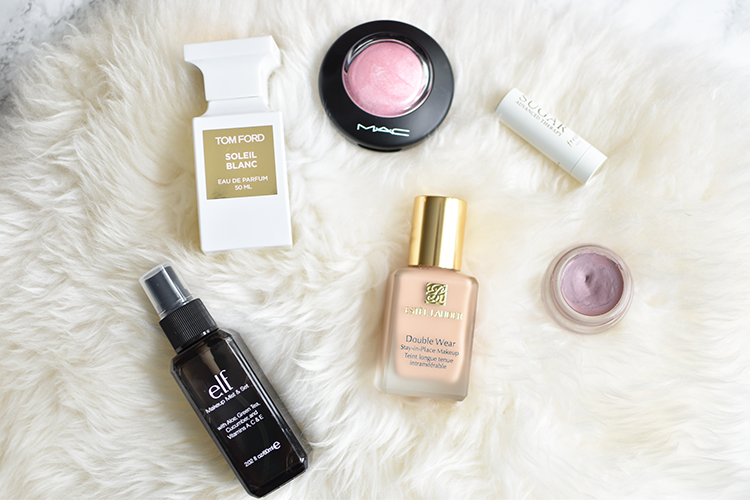 It helps my makeup to stay in place all day and most importantly, helps to keep my mascara from transferring to my brow bone and under eye! Now, onto the new to me product. Every time I think of Estee Lauder I think of my Mamaw. It is her favorite makeup brand and has since become one of mine. 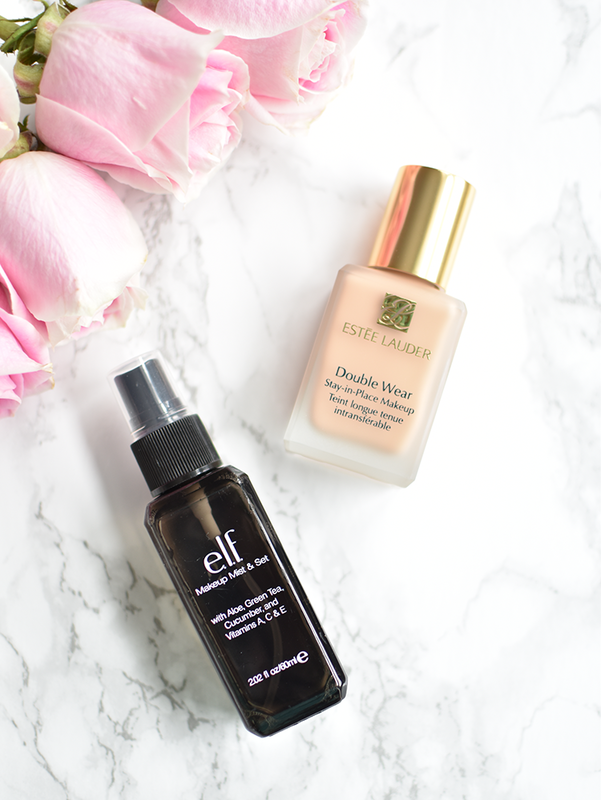 I had heard so many people raving about their double wear foundation that I finally decided to break down and give it a try. I hate feeling like I'm wearing a ton of makeup, so any foundation that leaves me feeling like I'll need paint thinner to take it off is definitely out of the question. Double wear is a medium coverage foundation that lasts 10+ hours and is waterproof without the "too much makeup" feeling. I apply mine with a damp beauty blender and set it with a loose translucent powder. 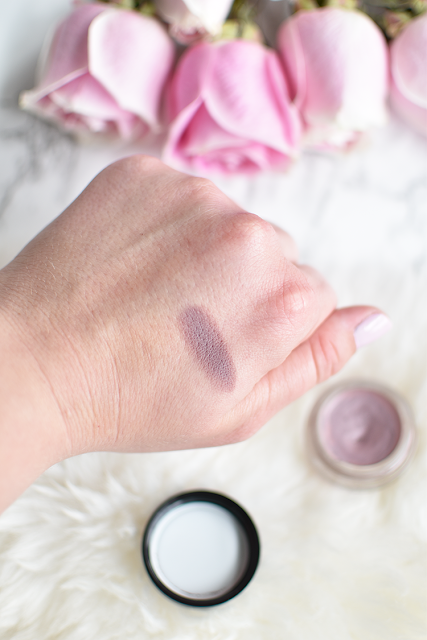 This next product is by far my favorite out of this entire post because it solves one of the things I hate most about wearing makeup – taking it off. 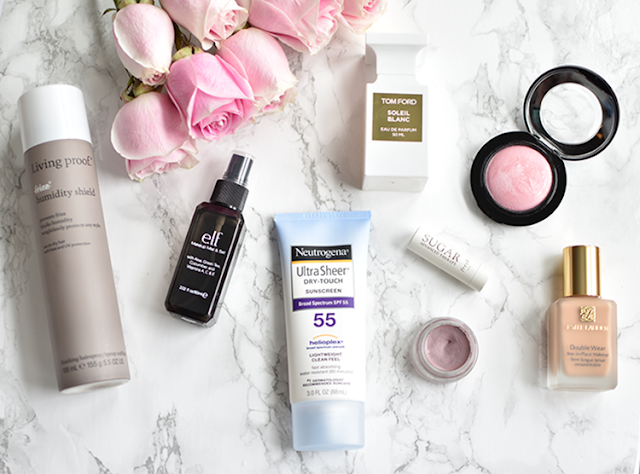 Neutrogena makeup removing wipes have been my go-to for years, but as I’ve gotten older, my eyes have become much more sensitive and I have to be a little more careful about what I put on my face. I still think Neutrogena’s wipes the best of their category, but I noticed that my eyes got worse when I would have to take off my makeup, so I went out to search for some sort of solution. I found the Makeup Eraser, a cloth with two differently textured sides, one for removing makeup and the other for exfoliation. All you have to do is run warm water over it and wipe your makeup off. Now, if you wear heavier eye makeup like liner and multiple coats of mascara, you will have to go over your eyes multiple times, but I promise it will take it all off and you won’t be left with a grimy feeling on your face afterward. 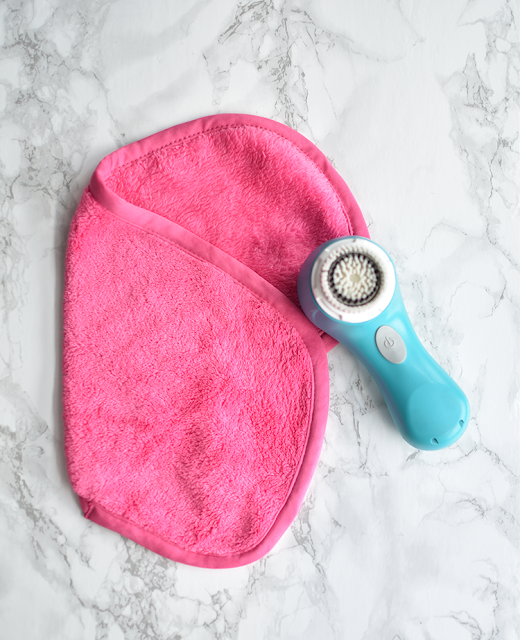 I have not tried the side for exfoliation as I use my Clarisonic for that (on sale, here) but if it works half as well as the makeup removing side, it’s sure to be a gem. To clean it I just scrub in a little laundry detergent (I use this) under warm water and it has yet to have any stains I can’t get out. Oh, how I love Living Proof. 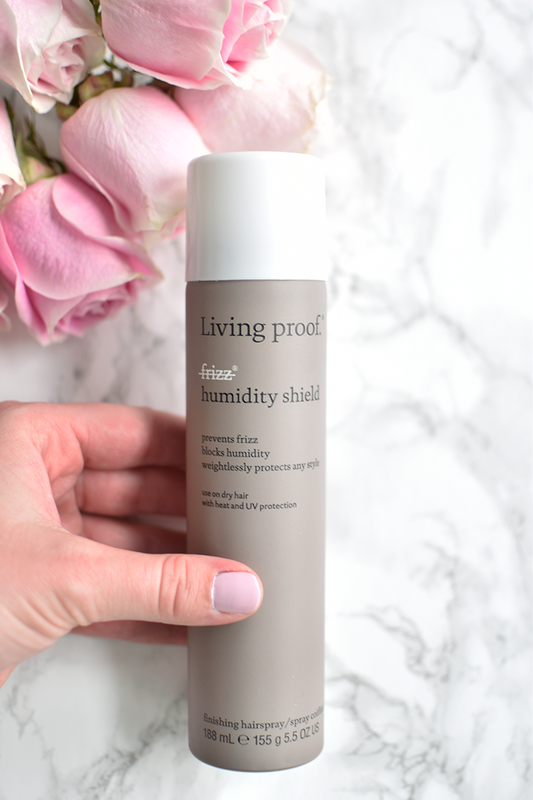 Almost all the hair products I use are from Living Proof and I will forever sing their praises, but this frizz humidity shield is my favorite for the summer so for now I'll rave about it. My hair has been frizzy since the day I had hair, which in case you were wondering wasn't until I was two years old. My Mamaw would tape bows to my head so people would know I was a little girl, as if the frilly outfits I had weren't already an indication. Unfortunately, frizz just comes with having thin, fine hair and living in the wonderful humidity of Texas only added to the problem. I tried a lot of different products, methods of blow drying my hair and even methods of washing my hair and nothing really did the trick until I found humidity shield. It's a lightweight aerosol spray that you use on dry hair before and/or after styling. I use mine right after I blow dry my hair before I curl and on second-day hair the next morning to touch up any rough areas. As an added bonus it and all other aerosol products from Living Proof (besides hairspray) are heat protectants up to 450 degrees! Like most people I tend to be a creature of habit, so I don't normally stray from my normal makeup routine. After all, if it isn't broke, why fix it? But I have to admit that this post was really fun for me not only in trying new things, but in finding things that really do work and that I really do love. 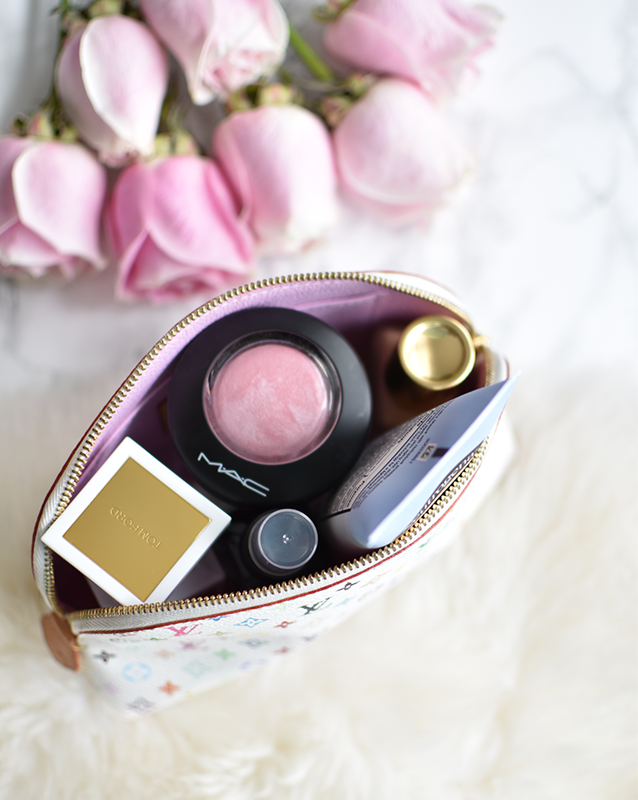 I hope this post helped you think about adding some new items to your routine, and if you have any favorite summer beauty must haves, I'd love to hear!